Jared Leek, Chairman of Mercy Health Foundation, announces the public is invited to a recognition presentation at Timken in the Fort Scott Industrial Park, 4505 Campbell Drive, on Tuesday, February 12th at 1:30pm. The Timken Foundation of Canton, Ohio recently granted the Foundation $25,000 to purchase a transport ambulance. The total cost of the ambulance is approximately $100,000 and the remaining funds were raised through the Foundation’s fundraising efforts and private donations. The new transport ambulance will be owned by Bourbon County and managed by the City of Fort Scott. A transport ambulance looks more like a van than a traditional ambulance but has better longevity, fuel economy, easier service and maintenance than a traditional ambulance but comes with all of the same equipment. 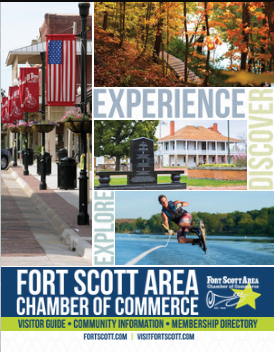 The community is invited to attend this special presentation and may contact the Fort Scott Area Chamber of Commerce at 620-223-3566 or information@fortscott.com with questions or for more information.